It’s almost upon us again. That’s right, Black Friday. When our American friends line up for some great holiday deals on the day following turkey and football day. And it’s a big deal. Some wait in line all night for the stores to open to get one-day-deals of around 60%-80% off, even on big ticket items. If it’s a big deal in real life, it’s a big deal online. Just take a look at the #BlackFriday hashtag. It is filled with tweets of excitement and plenty of businesses trying to get the word out about their great deals. And the tweets keep mounting up. 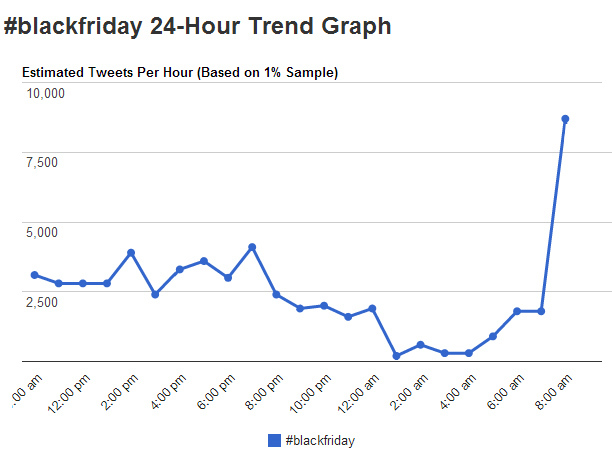 When I took the screenshot below from hashtags.org on November 21, 2012, it clearly showed the sheer amount of Black Friday related tweets going through the roof. Twitter will be a great source of information this weekend, but the one social network I’m most interested in for Black Friday is Foursquare. Will a Black Friday badge be available? Who will be the most popular retailers? Who’s offering discounts and sales to people who check-in at their store? I couldn’t find many answers online, or through my own Foursquare app (perhaps because I’m in Canada). To be quite honest, the lack of Foursquare specials in my city has led me to stray away from that social network altogether. But Foursquare has been very popular in the past. 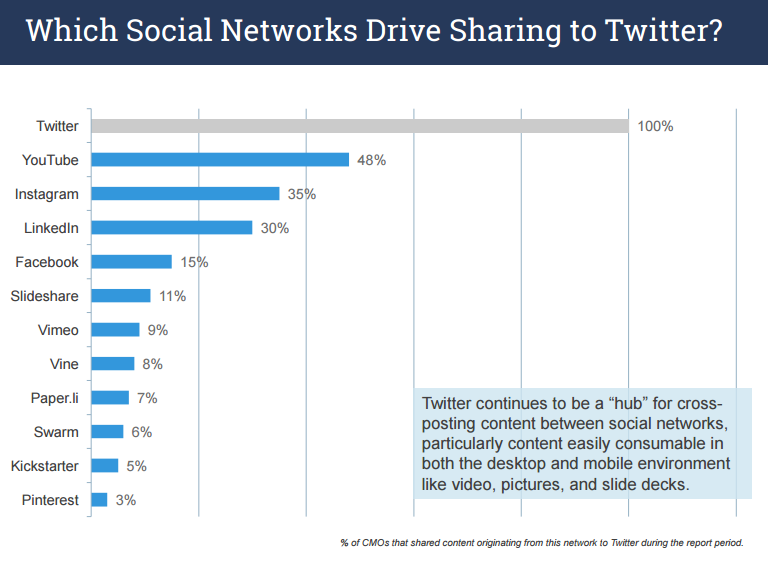 Check out the infographic below released by Foursquare that outlines last year’s activity on the network. 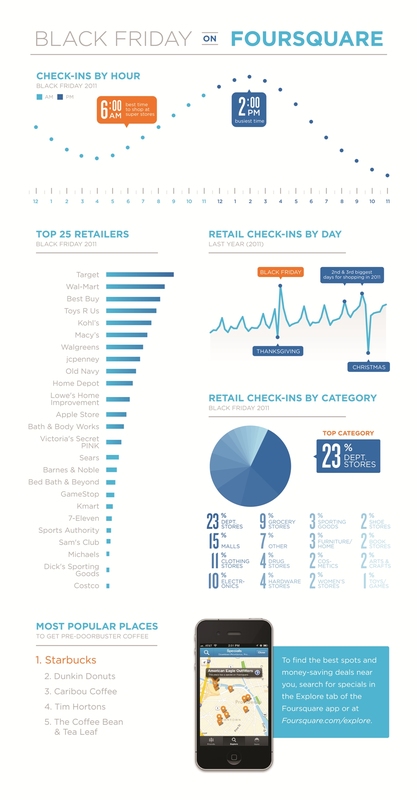 It shows that Black Friday is the day that sees the greatest number of check-ins at retail outlets. It also suggests that people start arriving at their shopping destinations around midnight of the day before to either stake out their spot in line or to participate in Black Friday Midnight Madness events. I would like to ask my American readers if they can add some first-person accounts from the Black Friday social media front. Will you be looking for deals using apps or social media sites? Is Foursquare part of your game plan? What hashtags do you find the most value in? 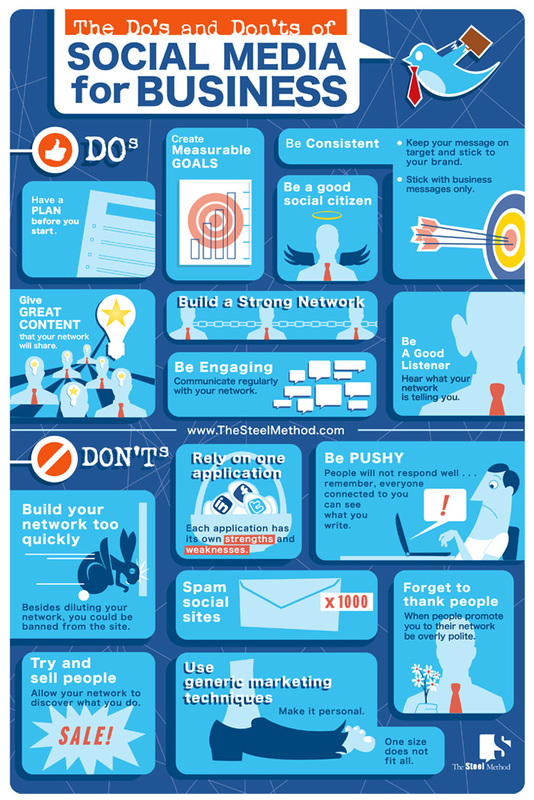 If you are a business owner or retailer, will you be offering any incentives to your social media audience? Oh, and Happy Thanksgiving! 3,400% growth: First of all, this number is crazy. Foursquare now has over 6,000,000 users. When I first started using Foursquare early last year, I only had about six friends on my list for about six months. I was able to add venues and capture Mayorships almost everyday. Now I’m getting about six friend requests a week, and it is very hard to remain mayor of a venue, even at the office. Regional Dominance: Specifically, the American and Canadian North East. Dominating much of the “Top 3” lists are American cities, most notably New York. I guess you would expect this from the fourth largest nation on earth (China, India, Facebook, USA), but the line dividing the continent west of the Gulf of Mexico is pronounced and somewhat unexpected. Also, a shout out to Malaysia, Indonesia, and Thailand for checking in what looks like as much as, if not more than, the area from Southern California to British Columbia. Wendy is the Mayor of Wendy’s: Need I say more? Congrats to a lady named Wendy in Madison, Mississippi for holding down the mayorship at Wendy’s Hamburgers. This has inspired me to become Mayor of David’s Tea shop here in Ottawa.